Who should read this post? If (soon or late) you are planning to build up a passive revenue stream next to your architecture or construction business, you need to read this post. This is the case as well for a small passive revenue stream (next to your main activity which remains architecture), or if you want to ultimately completely convert your service business into a product business. If you are not interested in building up a passive revenue stream, and just want to grow you architecture business as a service business (so, in the pure form), you can skip this blogpost. In future blogposts we’ll cover topics related to service businesses, like we did in the past like why you should double your hourly rate as an architect. Some months ago we talked about some possible passive revenue streams for architects. Architecture and construction business in general is a “trade your hours for money” business. You get paid for each hour you work. Working 8h per day? Great, you’ll make what most people in the Western world on this planet make. Want to drive a bigger car? Then work 10 hours a day instead of 8. Want to make much more money than your neighbours? Simple, just work 16h / day! Want to make millions? Then you’ll have to take another path my friend. There are only 24 hours in a day. Here is when the power of passive revenue comes in: you completely decouple your number of hours worked from the amount of money you make. You are no longer charging per hour. Check out here why passive revenue is a way of thinking, and how it change change your business and even your life. Want some quick examples of passive revenue? – Sell books, courses or ebooks (once the upfront work is well done, you can sell thousands of copies without additional work). – Run a software business (yes, that’s exactly what we do with ArchiSnapper): you don’t have to re-build the same software over and over again to make additional money. – Transform old buildings into real estate properties and rent them out. The plain old way, but still very lucrative. Whether you hate or ♡ Trump, that’s how he became a billionaire. – Run an affiliate website (blog about a topic and collect fees when people click on ads on your site). I guess you all know Pat Flynn from the Smart Passive Income blog, making > $100K a month with his blog? For your information, he is an architect who got laid off during the 2008 crisis. Now, back the main topic of this subject: finding the pain. Or scratching the itch. Or solving problems. “The market” (= where you find your future customers) is full of egocentric people. Selfish people. They only care about themselves. They don’t care at all about your fancy new business idea. If you explain them your next genial idea, the first thing that will cross their mind is: “Hey, nice and funky idea… but… what’s in for me, dude?” (although most of them will just politely say: “Now thàt is a nice idea man, congrats!“). The best way to actually convince future customers to become your client and give their money to you, is to not have to convince them at all. The best way is to solve a problem they are having. Solve their pain. Scratch their itch. They’ll offer you their money. “You are driving with your car in the middle of nowhere. A dark forest surrounding you. It is raining. It is cold. BAM – you got a flat tire. Your mobile is not working, there is no network coverage. Out of the blue, 2 different people show up, each from another side of the road. The first one is a well dressed man. His car looks clean and very professional. It has a fancy company logo on it. This man sells carpets. He is trying to sell you a carpet. When you refuse, saying you have bigger problems right now than worrying about your next carpet, he offers you a 10% discount if you decide within 10 minutes. Something that he normally never does (he says). You ask the man kindly to stop hard selling you his carpets, and help you with the flat tire. Yet, the only thing that the man tries to do is to sell you one of his carpets. And there you have it! You have a real burning problem. And someone has the solution – for sale. You are obviously willing to pay a huge premium for the solution for your most burning problems. The bigger the problem, the higher the premium you are willing to pay. The same is true the other way round: if you don’t have a particular problem, you are not willing to pay much (or anything at all) for a so called “solution”. Buying a carpet when you are stuck in the rain in the middle of a forest with a flat tire? Hmm, I don’t think so. Even if the carpet would be offered for free, I guess most people would not take it. 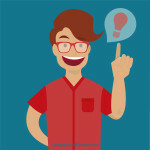 If you are trying to build a business on an idea that is actually solving no pain point for no one, then you will have a VERY hard time making money from your business. I can even say: it will be impossible. But at the other hand, if you are solving a real pain point, an obvious problem, then people will find you and ask you to take their money. Not a joke. You can even get away with an average product, ebook, course or website if in the end you are solving real problems. If you are solving the problem of Mister No One, then even the nicest business cards and the best marketing tactics in the world will not boost sales. Hey, but where do I start? If you are thinking about making the switch from a service business towards a scalable product business, or just want some passive side revenue next to your service business, then keep your idea simple and don’t over engineer it. Just solve a problem. The best problems are not imaginary problems far from your home. The best problems to solve are real problems you also have. If you have a pain point in your business, you know it. You feel it. It bugs you. And you can very well imagine how others could feel the exact same pain too. Even in your own business though, it is not always obvious where the problems are, and it is not always easy to build a generic solution for it (if it was then everyone could start a successful business overnight). But the key is this: keep your eyes open for opportunities. Change your mindset. Think about painful administration you have, worries that keeps you up at night, about hacky “spreadsheet solutions” you already did put in place to automate certain tasks in your day to day work. There are opportunities everywhere. Want an example? 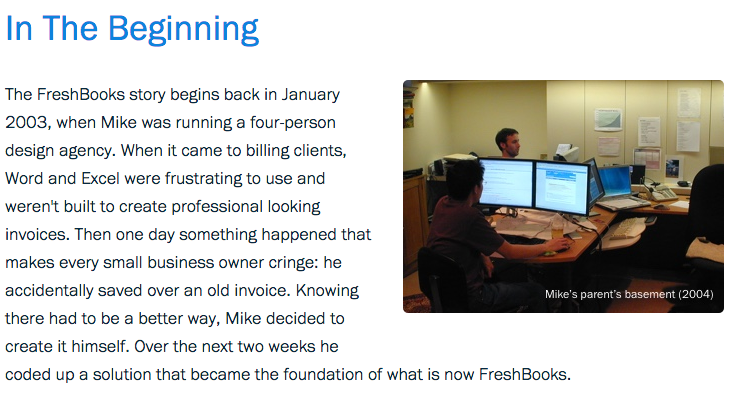 Let’s check the story behind Freshbooks. Of course, this is a huge success story, and it didn’t come overnight. But even if you want to build a small side revenue stream from let’s say a blog, you always have to start from a given need, a pain point or a problem. Something that people want. Not from something you think they want. You’ll attract customers (or readers, or whatever) like a magnet, and the marketing efforts to convince them will be much less then when trying to sell something that nobody is waiting for. 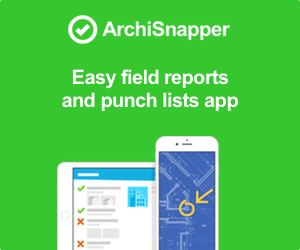 Do you know the story behind ArchiSnapper (our software for field reports and punch lists)? We had (and in fact, still run) a small web and mobile software business. We were solving individual problems for individual customers. Most projects we did were business software solutions to facilitate the businesses of our customers, using online and mobile software. In fact, we enjoyed this business a lot. We like to write software, and it was great to see how our customers’ businesses would run 10 times faster with software and apps we did build up from scratch for them. Yet, like many people on this world I guess, we wanted to escape the “trade your hours for money” hamster wheel. We decided to keep our eyes open for passive revenue opportunities, and if one would come by we would hop on the passive revenue bus, and try to ride it as fas as possible. One day, a great opportunity knocked on the door. We were lucky. So, there was a new potential client, an architecture firm this time, asking a quote for “an app to speed up their field reports”. They also added that “it had to be done asap since the process of making field reports was painful and time consuming”, and “they were loosing many hours per week”. They said that “7 people of their office would use the app once it would exist”. We could have proposed them a $50K custom software solution, and I’m sure they would have happily signed the deal, given their needs. Instead, we did the following. We told them that we would try to find at least 10 other architecture studios willing to pay (subscription based) for an app for field reports. If so, we would build a standard software / app, and they could just pay a small monthly fee, instead of the one time budget. Obviously, they agreed. The next few days we did between 50 – 100 phone calls. Our goal was to measure the pain. Was this a real problem? Were their others really feeling the same pain? 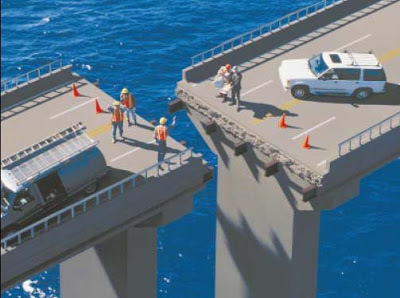 Was the solution scalable? Ultimately we did find 10 other studios that said they would immediately use this field report app as soon as it would be on the market. Some of them even called back every now and then to ask about the progress. We felt this was a nice opportunity, and we jumped on it. ArchiSnapper was born. BTW, once we went live, we already had our 10 first customers from day one. Now, 3 years later, we are still up and running, and growing. Thousands of architects, contractors and engineers are using our app to make field reports and punch lists. How big is the pain? Our very first version of ArchiSnapper was bad. Ugly. It had bugs. It was slow like hell. We didn’t even know exactly how it was supposed to work. The screens were not intuitive. We were ashamed to publish it to the app store. And yet… we had a few people using the app and paying for it from day one. They just worked them through the slow screens, ignored the ugly buttons and they lived with the bugs and crashes it. Why? Because it did solve an even bigger pain for them. Despite the issues, it did save them hours per week, days per month, weeks per year. That is why they used it. We solved a real pain.